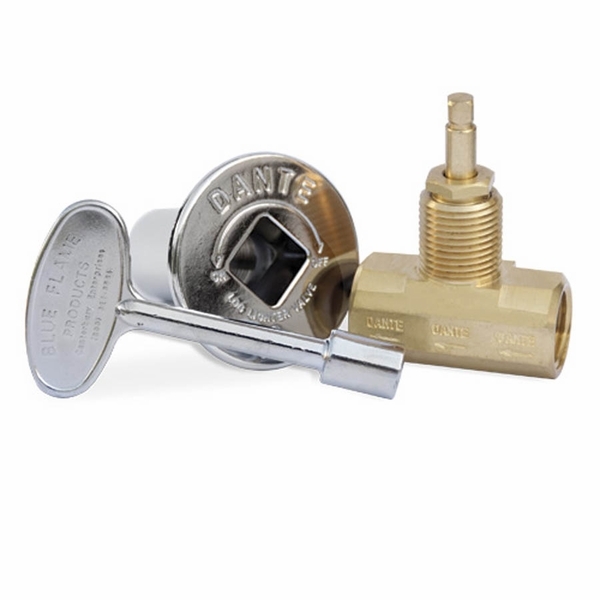 These 3" universal key, straight ball valve, and floor plate combination kits make a great addition to any gas fireplace presentation. Dante has constructed them using the best materials available, then backed them up with a limited one year warranty. The key and floor plate are available in your choice of brass and chrome finishes, too, so you get to choose how to best decorate your fireplace. Rated to 158,000 BTU's and CSA certified, too, so they're ready for years of quality performance. Can these valves be used outdoors in a fireplace enclosure? Typically, manual shutoff valves like this product may be used outdoors. Works great and easy installation for my plumber.